At Five Brothers Insurance, our skilled, knowledgeable and courteous agents can provide you with home insurance quotes from a variety of well-respected insurance providers. Unfortunately, many insurance agencies have partnered with certain insurance providers and have agreements to only provide quotes from specified carriers. Still family owned and operated after decades of service, our insurance agency has remained an independent entity, which allows us to provide our policyholders with a broader range of policy options from which to choose. 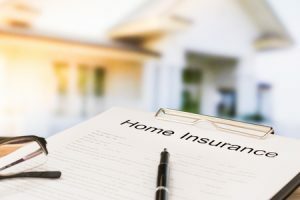 Our team is 100% committed to providing our policyholders with a hassle-free insurance shopping experience and will work closely with you to determine your exact coverage requirements before conducting a thorough search to find you the most comprehensive and affordable homeowners insurance quote available. Your Five Brothers Insurance agent will always take the time to truly learn about your needs and budgetary restrictions, prior to presenting you with the best home insurance quotes and explaining the benefits and/or drawbacks of each option. With a full range of insurance products, Five Brothers Insurance is uniquely poised to be your single-source for any insurance need. Our customer service and support simply can’t be beat, and you will always be able to speak directly with your agent about claims or any questions you may have. Contact us today if you live in Tampa, Clearwater, Indian Shores, Indian Rocks Beach, St. Petersburg or the surrounding areas and are interested in receiving a selection of home insurance quotes from a trusted insurance agent near you. We look forward to becoming your preferred insurance agency and can accommodate nearly any insurance policy need you may have.